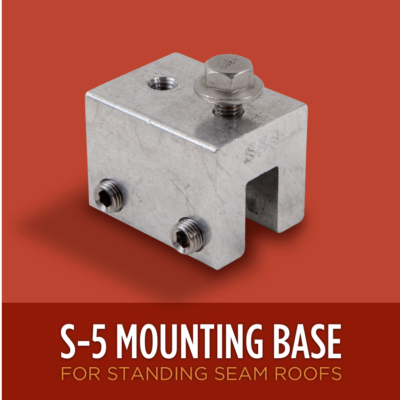 Designed for applications where fasteners are not an option. These clips slide under slate and cedar shakes and hook on existing fasteners to hold heat cable in desired position. Made of non-corosive copper. 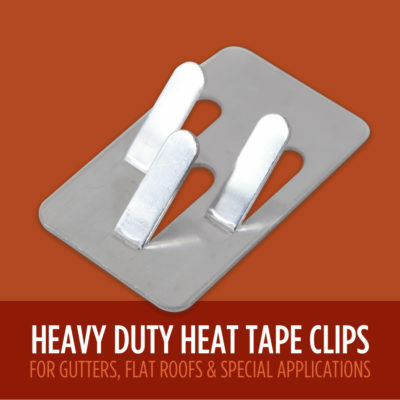 For use with all de-icing cable, including all Pre-Assembled Heat Cable lengths & Ice Dam Heat Cable by-the-Foot. 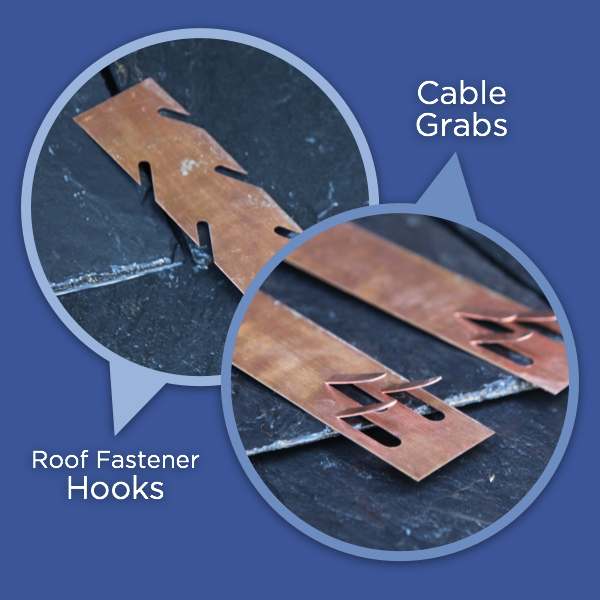 Designed for applications where fasteners are not an option. 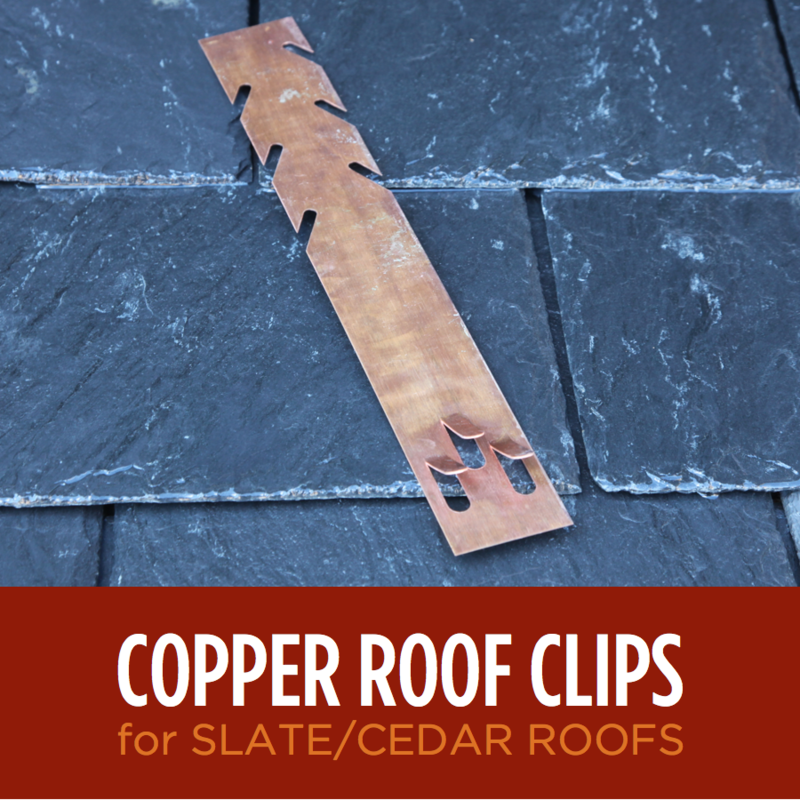 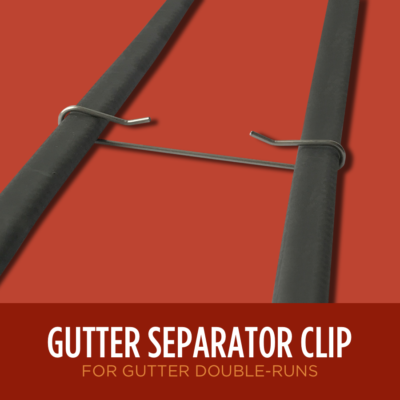 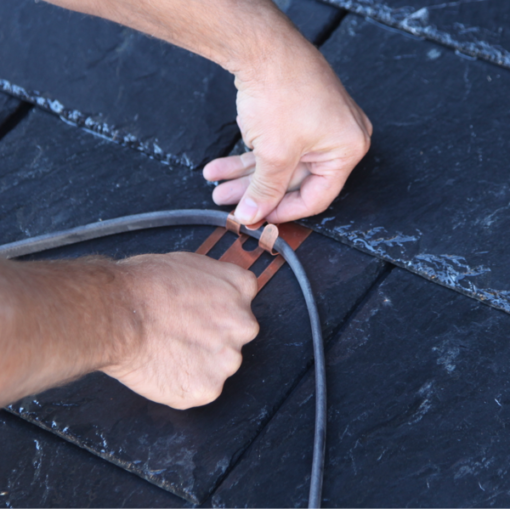 These clips slide under slate and cedar shakes and hook on existing fasteners to hold heat tape in desired position. 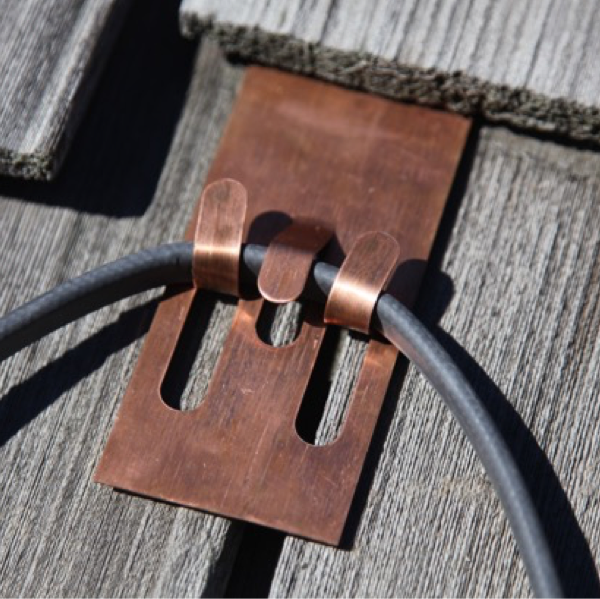 Made of non-corrosive copper. 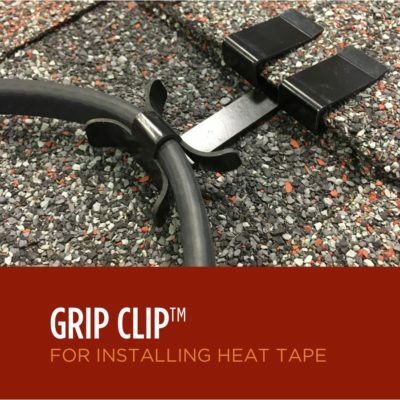 For use with all ice dam heat tape de-icing cable, including all Pre-Assembled Heat Tape lengths & Ice Dam Heat Tape by-the-Foot.